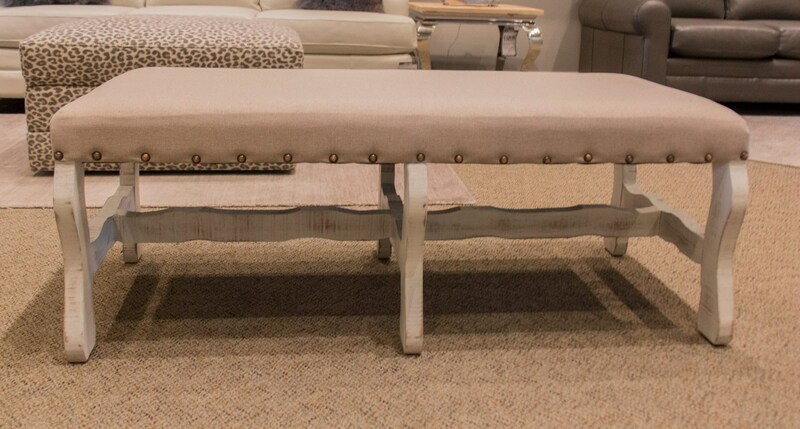 Add additional seating to your living room or bedroom with the linen upholstered bench, featuring nailhead trimming. Finished in nero white, this bench is highlighted by its intricately carved legs. The Accents Linen Bench in White by Vintage at Great American Home Store in the Memphis, TN, Southaven, MS area. Product availability may vary. Contact us for the most current availability on this product.